Pensioner William Sichel is to take on the North Coast 500 mile tourist route in northern Scotland, which has been hailed as one of the greatest drives in the world. Ironically he uses The Proclaimers’ “I’m Gonna Be (500 Miles)” on his jogs. But starting at Inverness Castle today, William will attempt to run that distance – and a bit more – on the iconic route, solo, in eight days or less. He has assembled an experienced support crew to help his bid. “I completed a recce run on the whole course in November last year when I was driven around the whole route, which is actually 518.7 miles and ran for up to three hours a day to get a feel for the area,” said William. 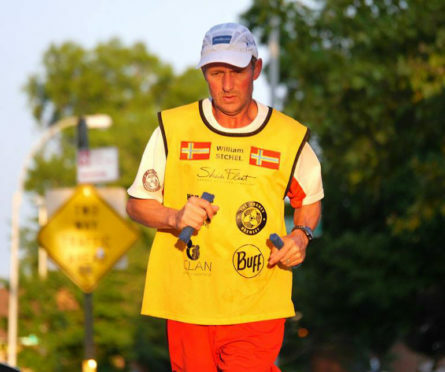 William, 65, who has completed 107 ultra marathons since 1994, last competed in the summer, when he ran 2904 miles of the Self Transcendence 3,100 Mile race in New York – the world’s longest certified footrace. 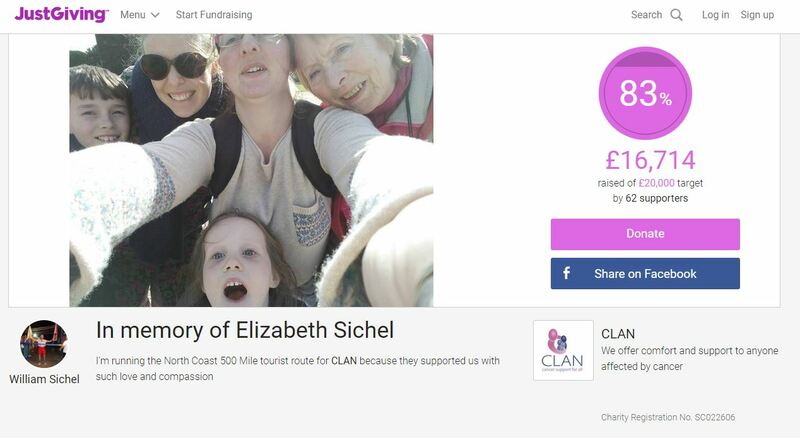 Screenshot of William Sichel’s Justgiving page. No one has previously run the North Coast 500 route although cyclist James McCallum, completed the route in 31 hours in 2016. “I’m the first to admit that this run is entirely out of my comfort zone,” said William. “I’ve never done anything like this before, being far more comfortable running multiple laps in parks or on running tracks. After the 3,100, I felt like tackling something completely different and this is what I came up with. William will be using the run to raise funds for the cancer support charity CLAN.